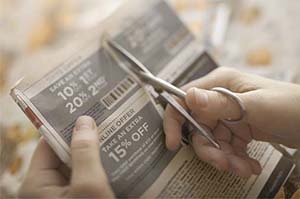 Coupons are a great promotional tool and provide consumers with direct, honest and substantial savings. Over a billion dollars are saved with coupons every year! These savings benefit retailers, manufacturers and an entire industry employing thousands of people across the globe. Ideally, it is a win-win situation and all participants benefit accordingly. Unfortunately, as with anything of real value, coupons are subject to misuse and fraud, just like credit/debit cards, checks, currency and virtually every type of legitimate economic activity. The CIC encourages smart shoppers to take advantage of every available, legitimate tool to maximize their savings. It’s a win-win situation for everyone when a consumer can purchase a product on sale, use a coupon and obtain even more savings by participating in a rebate/refund program. It is important, however, that consumers understand and follow the rules when enjoying the great savings available with coupons. There are clear rules for using coupons. Our guidelines will clarify the gray areas where false information on the Internet has caused confusion. © Coupon Information Corporation. All rights reserved. © 2017 Coupon Information Corporation. Confidential. This information is not be released to individuals who are not employees of your company. Individuals and entities named in this information must be considered innocent of any wrongdoing unless proven otherwise in a court of law.